Inviting others to attend Successful Thinkers Network website and meetings gets you recognized and getting recognized will lift your credibility both in front of the group as well as online with the Successful Thinkers Network website and Facebook etc.. You will be known as the “pay it forward” person and more people will want to know you because you are the one to know. Trust comes with recognition – if the recognition is good thing when done with the right intentions. When people trust you, they want to work with you, refer you and buy from you because they know you and they can see your intentions are good. 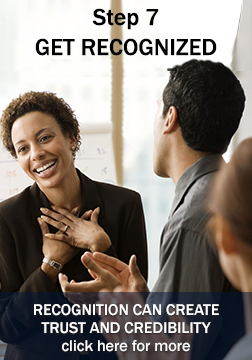 Also become a Greeter at your chapter for greater recognition!